local archaeological office sanctioned an after-hours tour to Delos so we opted to visit one of the best historical sites in Greece. 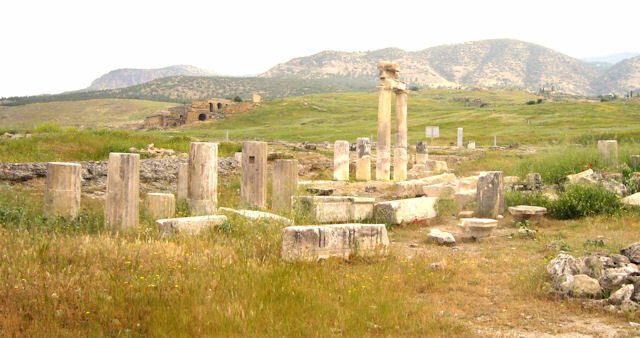 Uninhabited for centuries, Delos is an outdoor museum of well-preserved ruins. Financed by France, excavations began in 1872 and continue to this day. Less than one-fourth of the island’s treasures have been uncovered. On this cool and breezy April Monday with Poseidon to guide us, a quick and bumpy 30-minute boat ride ferried us to the 1 ½ square mile rocky island, a viridescent chartreuse shimmer as we headed west into the sun.